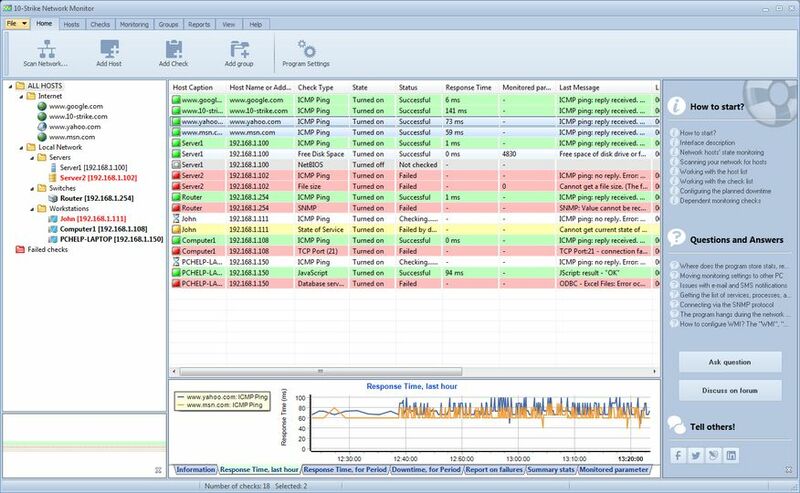 10-Strike Network Monitor can perform continuous and automatic 24/7 monitoring of various hosts (network equipment) connected to your LAN or over the Internet. Monitor network devices and services: switches, servers, UPS, processes, and databases. Receive and monitor SNMP traps. Monitor temperature, voltage, disk space, and other stuff via SNMP or WMI. Configure alerts and receive notifications via e-mail, SMS, sound alarm, or a screen message. Analyze statistics, charts, and trends. Distributed network monitoring supported in the Pro version. Download provides a limited trial.